An essential companion for every traveller to Venice, this is the hidden city revealed in a gorgeous non-fiction account by one of Europe's greatest living writers, Javier Marias Century after century, the essence of Venice is unchanging. It is a place of contradictions, equal parts glamour and chaos. As a young man, Javier Marias made the city his home; since then he has left and returned many times, drawn back to its labyrinth of blind alleys, its pearly green canals, its imagined spaces. 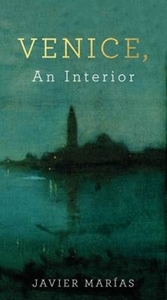 His love affair with the city has lasted over thirty years - he has traced every inch of its endless interior, has lived among the Venetians and lived apart from them. In Venice, An Interior, Marias sets out to uncover the heart of this strange and enchanting place.